Join us at Founder’s Dinner and meet Harvard University futurist, author and speaker Tony Wagner. As we move from the "Information Age" to the "Innovation Era," what our students “know” won't be enough. For them to succeed, we must encourage learning that harnesses the principles of “play, passion and purpose” and encourages risks. Please click here for more information or to register for Founder's Dinner. Loudon Owen ’76 is a deserving recipient of the 2017 John D. Stevenson Award. Owen’s formal volunteer roles include: ​six years on the board of governors; co-chair of the Think Ahead campaign; ​and member of both the Association Council and the boarding task force. The prominent venture capitalist has been an active mentor to many Old Boys over the years and regularly meets with them during his travels. Read more about Owen and the John D. Stevenson Award here. Watch your email in February for the final report from last year's Old Boy Summit. Whether you were at the summit or sadly had to miss it, the report will provide a full recap of the day and outline next steps based on the valuable feedback received. We’ve had the official Upper Canada College alumni LinkedIn group up and running for some time now. 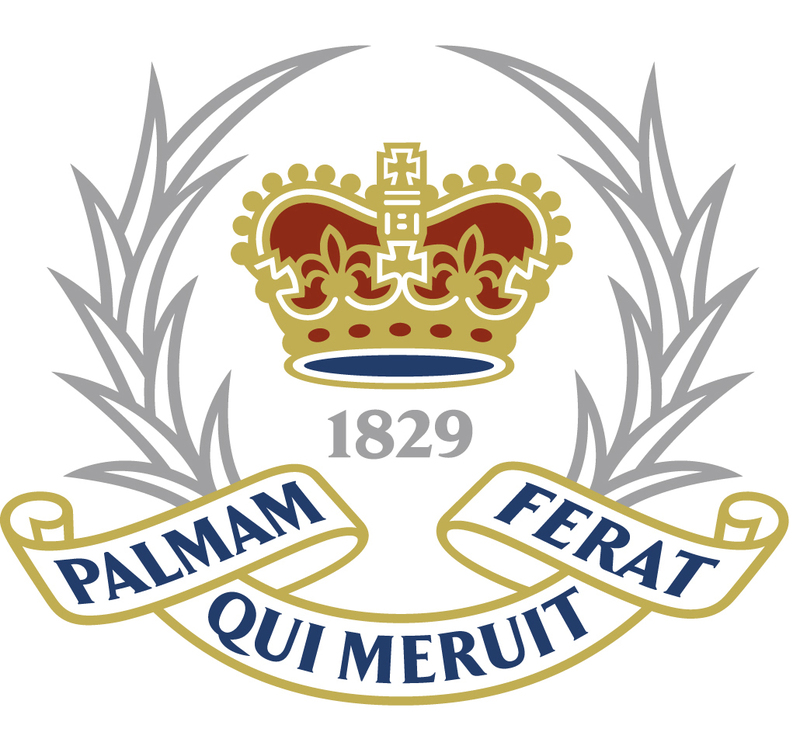 While we've posted news of major developments at the College and periodically received posts from group members in the past, we're now ready to really rev things up and create a lively community that we hope will generate future professional and social opportunities and advantages for our Old Boys. LinkedIn is the place where professionals stay connected, and we want the UCC group to be the place where Old Boys go to keep in touch with each other and the College. Please join us as we embark on this adventure. Share your thoughts and opinions and watch this space. 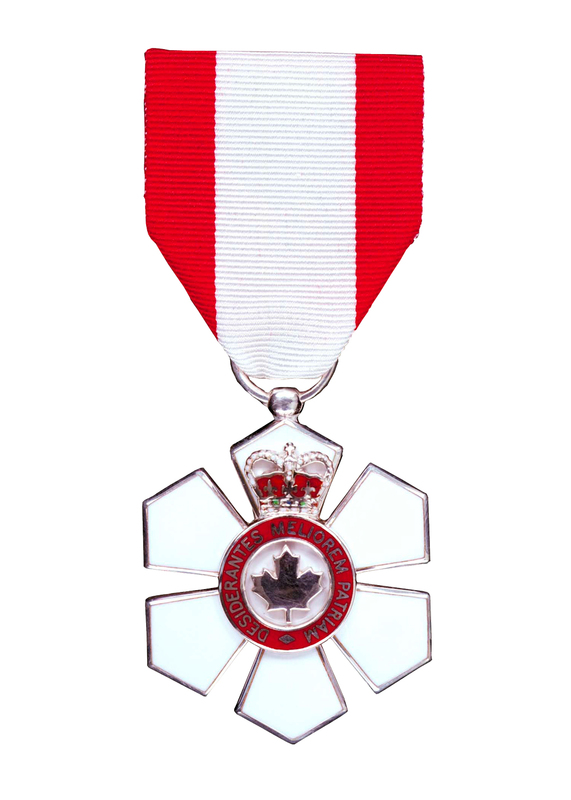 Congratulations to these newly minted Order of Canada recipients and UCC community members: Craig McClure '81, our winter 2015 Old Times cover boy and chief of HIV/AIDS at UNICEF in New York; Michael Ignatieff '65, a scholar and former Liberal Party of Canada leader; Janet Ecker, a former UCC governor and Ontario member of provincial parliament; and Peter Dalglish '76, founder of Street Kids International. 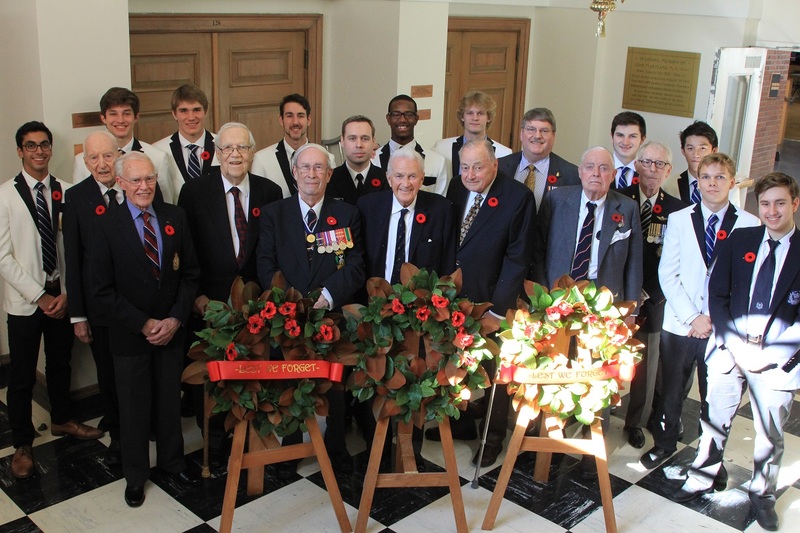 UCC's Prep and Upper Schools welcomed these veterans for two Remembrance Day services on Nov. 10: Bill Wilder '40, Derek Foulds '41, Fraser McKee '43, Ed Saunders '43, John Farquharson '44, John Gillespie '44, Alan Wilson '49, Douglas Scott '47 and Greg Burton '77. Three members of the Cleghorn family — Ian Cleghorn, Andy Moore and Lynne Bridgeman — who made a donation to create the College's military history immersion program also attended the Upper School service. Please click here to read more about the ceremonies and see a full gallery of pictures. An important part of UCC's boarding program involves new boys getting to know Toronto better. It's essential for them to become familiar with getting around and to learn what the city has to offer. Part of that experience includes attending Toronto sporting events and arts-based performances. The UCC community continues to support this program by donating tickets to watch the Blue Jays, Raptors, Maple Leafs and TFC, as well as musical and theatrical performances. You'll receive a gift-in-kind tax receipt for the full face value of each ticket. Please contact Samantha Kerbel at skerbel@ucc.on.ca or 416-488-1125, ext. 2239 if you wish to donate tickets or have any questions. 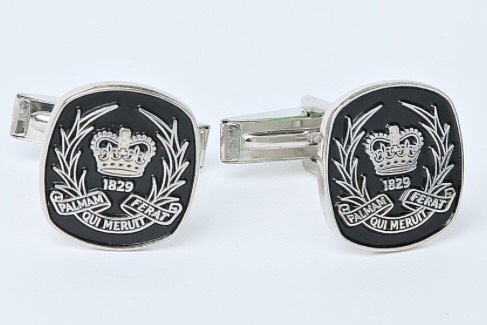 The UCC cufflinks pictured below are available for Old Boys to order. They're elegant, subtle cufflinks that will provide a lifetime of use to finish off a tailored look. 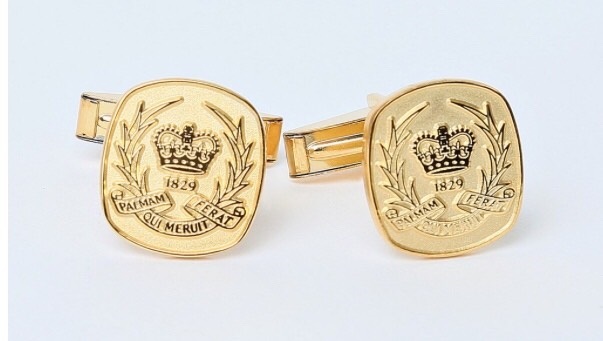 They're finely crafted in either sterling silver or sterling silver gold plate with the classic UCC logo. They make a lasting gift for Old Boys and current students alike. Please click here to order. For pickup instructions, please put Upper School - Association. We'll mail them to you as soon as they come in. 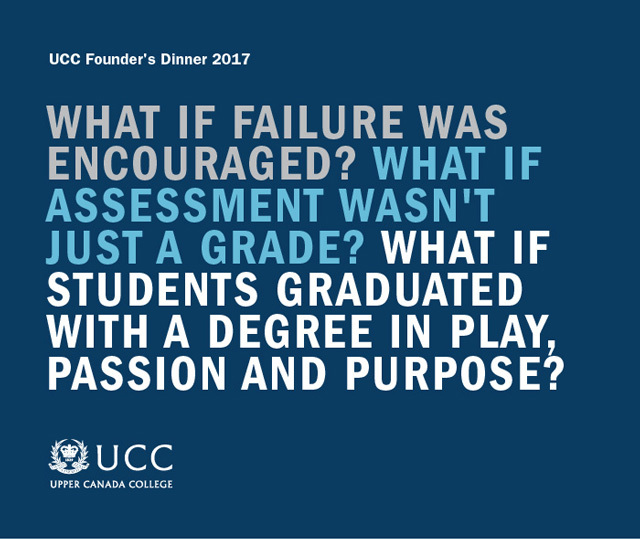 The UCC Foundation’s annual general meeting was held on Nov. 23, where Richard Wernham, Vik Rao ’88 and Doug Guzman were thanked for their contributions. Wernham, the father of Nick Wernham ’02, has been a UCC Foundation board member since 2008 and finished his final term. He’s been a UCC Foundation investment committee member and served as chair of the investment committee from 2009 to 2013. The Richard Wernham and Julia West Centre for Learning is named after him and his wife.